2 November 2017 – PEN International strongly condemns the blocking the digital magazine, My.Kali, which promotes LGBTQI rights in Jordan, mainly by raising awareness about their circumstances and the violations to which they are subjected in the Arab region. PEN calls on the Jordanian government to unblock My.Kali and to fully respect the right to freedom of expression, as enshrined in article 15 of the Jordanian Constitution and article 19 of the International Covenant on Civil and Political Rights to which Jordan is a state party. Access to the online magazine was blocked in July 2017 by the Jordanian Audio-visual Commission, on the basis that it lacks a government publication license and its “incitement of sensationalist media”. It is thought that the Commission acted under pressure from a representative of the conservative Islamic Action Front party, which is publicly opposed LGBTQI rights in Jordan. 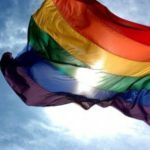 “Blocking the LGBTQI online magazine, as well as well as hundreds of other websites in Jordan is a violation of the right to freedom of expression. The LGBTQI community should have the right to impart information and ideas of all kinds through their own magazines. Jordan’s ban of My.Kali is an expression of repressive practices that ultimately lead to further repression, fear and violence in its society. A healthy society should be based on democracy, freedom of expression and other personal freedoms. LGBTQI people should be allowed to express their sexuality and views,” said Iman Humaydan PEN International’s Board member. According to its website, My.Kali is the first LGBTQI inclusive web magazine in the Middle East and North Africa region. Established in Jordan in 2007 by a group of students from different backgrounds, it strives to address homophobia and transphobia and empower young people to defy mainstream gender binaries in the Arab world, through the publication of contributions of writers, photographers, bloggers and artists from all identities in the region. In recent years, the Jordanian government has taken measures, which have led to greater restrictions on the right to freedom of expression and opinion. According to an amendment to the 1998 Press and Publications Law approved in 2012, all new sites require a license from the government to operate; the Commission has applied this law to block access to My.Kali. Furthermore, the amendment provides the Jordanian government with the tools by which to censor the press, media and online spaces. In its 2016 resolution on anti-LGBTQI legislation, PEN International denounced the adoption of laws that ban the dissemination of information about sexual orientation and gender identity. It also demanded that the governments of all states confirm their commitment to respect and protect the rights of all, including LBGTQI people, in accordance with their obligations under international human rights law to freedom of expression, association, and peaceful assembly.